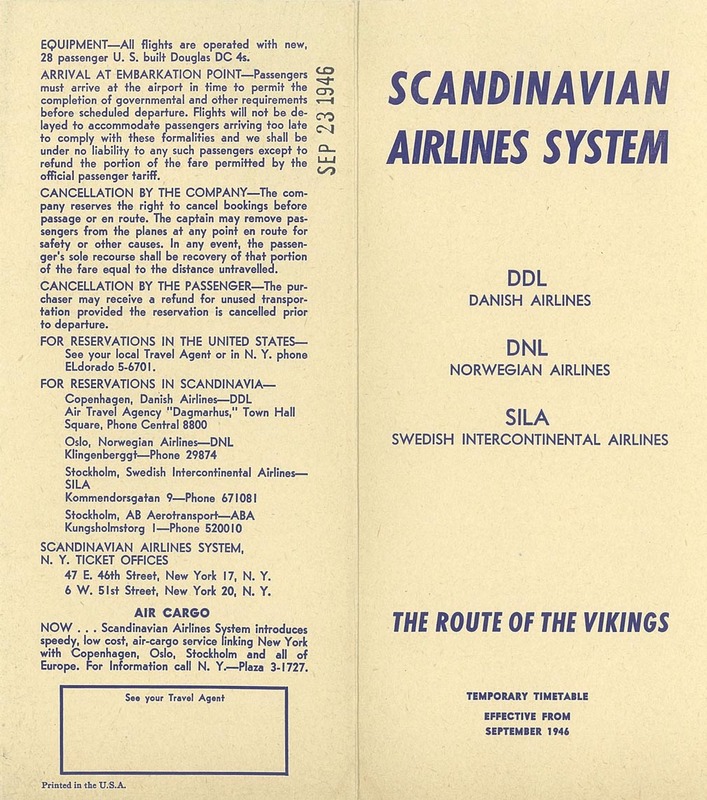 The U.S. issue of the first SAS timetable. 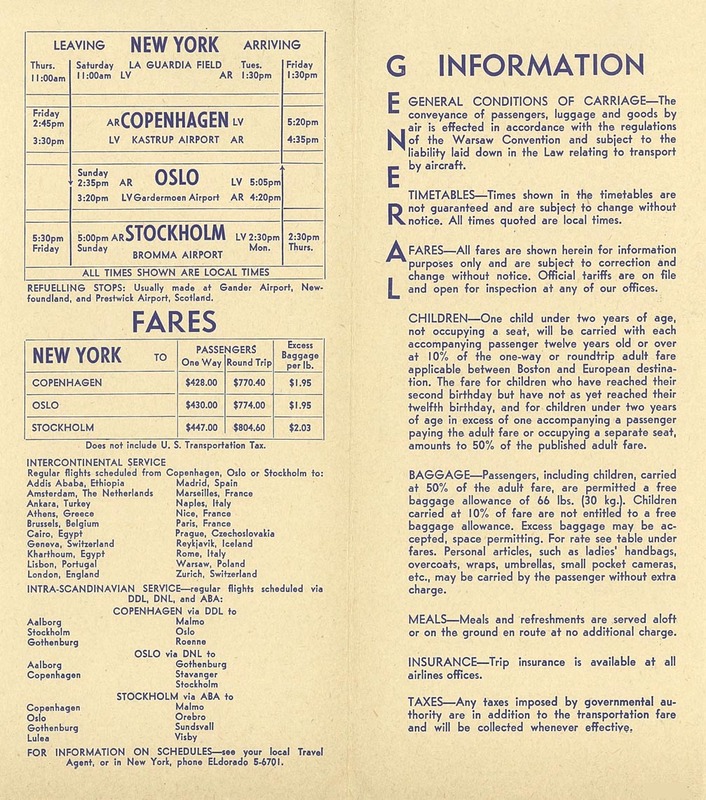 The inaugural flight departed Stockholm for New York on September 17. This page last updated June 8, 2014.